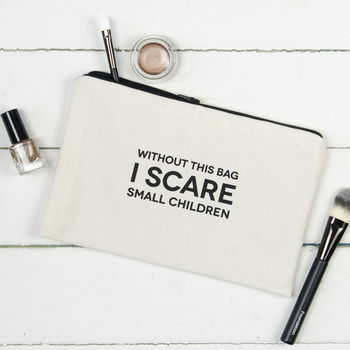 This funny and unique make-up bag is guaranteed to amuse everybody who sees it. This is the perfect pouch for those with a sense of humour - friends, sisters, daughters, godchildren, mothers and even yourself! 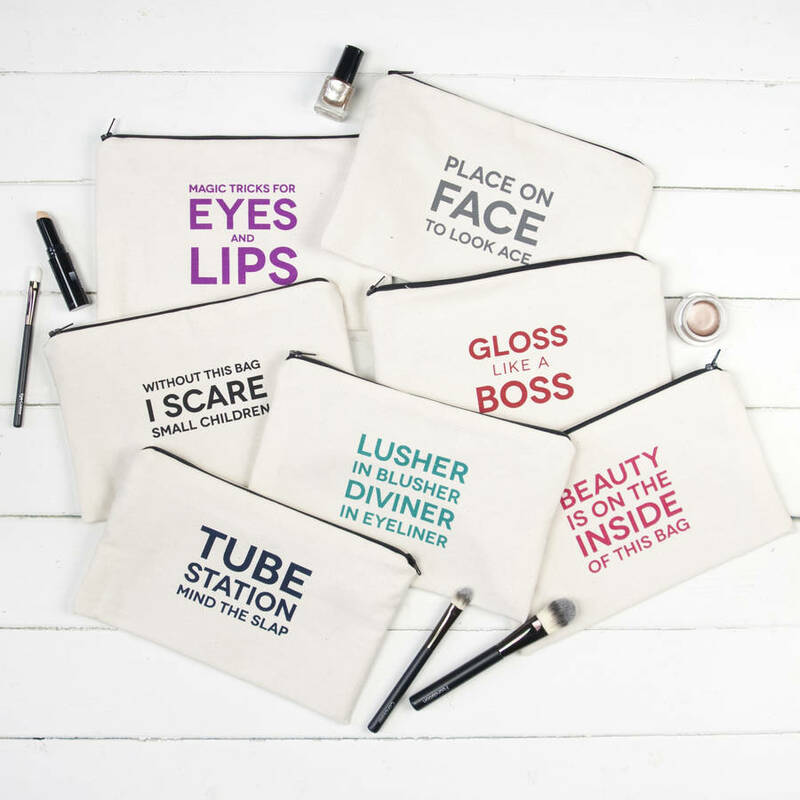 Our witty cosmetic bags are beautifully finished and are ideal for birthdays and Christmas. This one makes a great little stocking filler too. Our ever-useful pouches are big enough to fit all the necessary items, whilst also fitting into a handbag. We've road tested them and we love them. There are six more bags in our range to collect - see 'sellers other items'. The design and wording is strictly the copyright of Bespoke Verse. Design appears on both sides of the bag. The wording is printed in black.